One of the Bay Area’s most notable and recognized homes is opening once again for a special holiday program and fundraiser as only Filoli can do it. The “Holiday Traditions” event kicks off November 27, 2015. It’s a Filoli House Christmas, and everyone is invited to take part in the activities under this year’s theme “Filoli – A Holiday Jewel.” Plans for the opening Friday (11/27) include live music, charcuterie buffet, wine and champagne. During the ensuing week, visitors can enjoy delicious lunches and bistro dinners. On December 5, there will be a kids’ party for children 5 to 10 years old. Entertainment, a visit from Santa, food and more is on the schedule. No Filoli House Christmas would be complete without a tour of the house itself, which some may recognize from the opening credits and some of the interior shots on the TV show Dynasty. The rooms at Filoli House will be decorated and dazzling with jewel colors of ruby, gold, emerald, topaz, copper and amethyst. 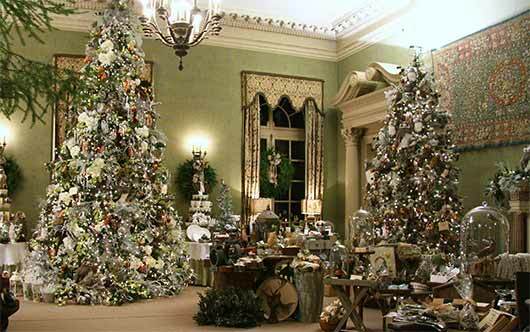 Those touring the rooms of this historic home will be amazed by the sights of the holidays: intricately decorated trees, mantles overflowing with colorful flowers, wreathed windows and every other decorator’s touch that makes a Filoli House Christmas special to people near and far. “Holiday Traditions” is Filoli’s largest fundraiser of the year, with collected money going to maintain the stewardship of this historic home and property. This year, more than 700 volunteers will be working together to make the event something memorable for everyone who comes to experience the luster of the holidays at Filoli. 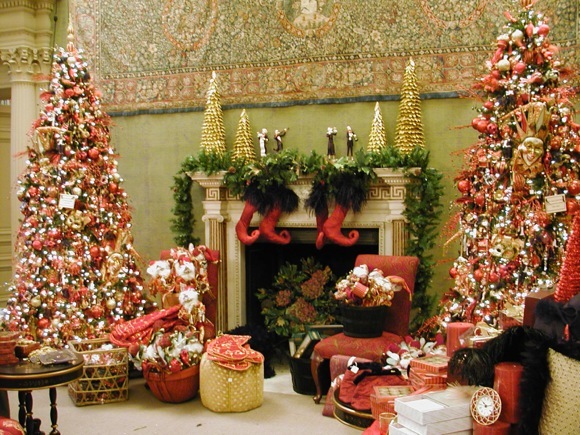 Learn more about Holiday Traditions and Christmas at Filoli House and get information about the purchase of tickets, which are now on sale for members and will be available to the public October 19.